Arrived at the University recently? Or perhaps you regret not purchasing the Unirider ticket earlier in the year? You can purchase a term 2 and 3 Unirider for £180 for unlimited travel on all Stagecoach buses in Kent and East Sussex. This is a discount available exclusively to University of Kent students. Term 2 and 3 Unirider bus tickets can be purchased from the Stagecoach website. 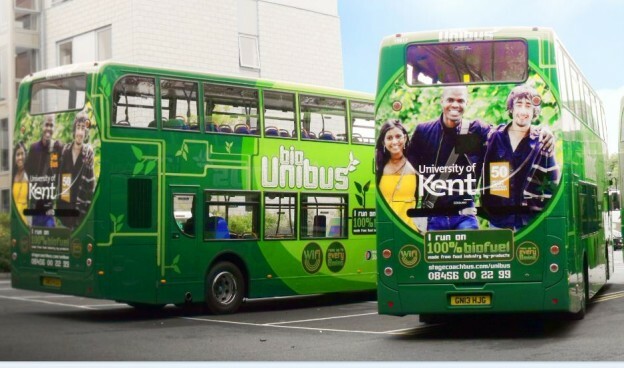 For more information about bus routes, timetables and discounts visit our Canterbury bus webpage. This entry was posted in Student Guide on 18 January 2019 by Sophia Cheraitia.